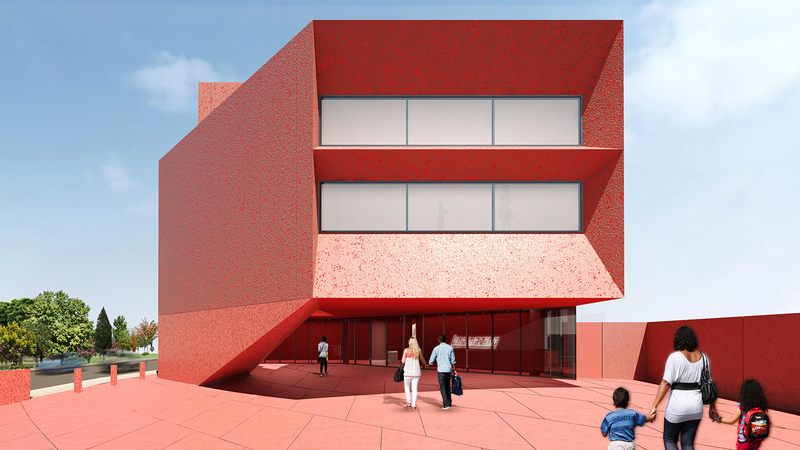 Rendering of San Antonio’s Ruby City. From Shanghai to San Antonio, a number of cities will see exciting art spaces open their doors this year. 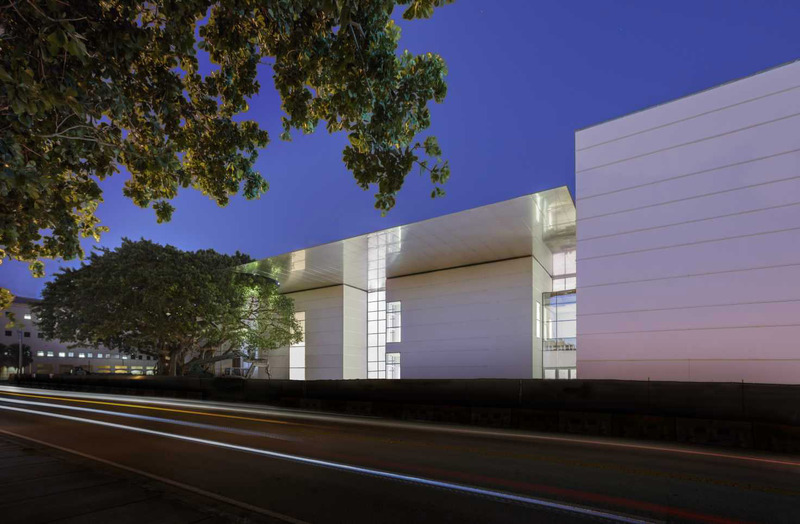 Some of these spaces, like the Bauhaus Museum in Dessau, Germany, will celebrate the enduring legacy of historical movements, while others, like The Shed in New York, seek to draw crowds by tapping art-world heavyweights to come up with bold ideas. And thanks to the vision of some of the world’s top architects, each of these buildings might even be considered a work of art in itself. 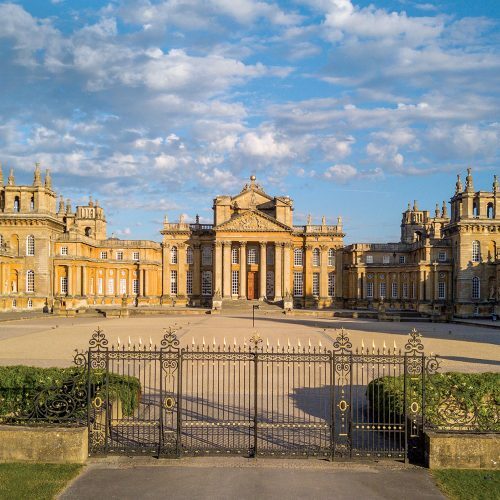 Here, we’ve gathered 11 highly anticipated art museums and exhibition venues that are debuting this year. London-based 6a Architects designed this museum to celebrate the unique history of the young city of Milton Keynes, which was designated in 1967. 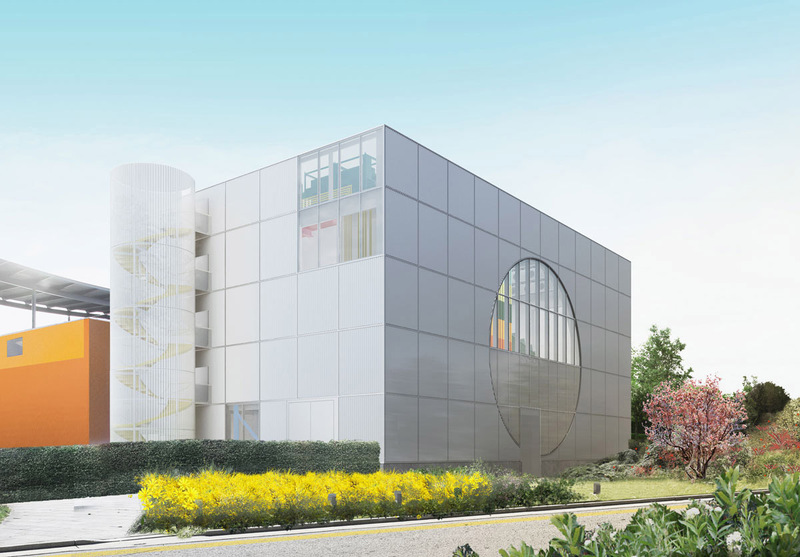 Inside, five galleries will house work by Old Masters and contemporary artists alike, while the focal Sky Room—which features sweeping views of Campbell Park—will welcome lecturers, performance artists, and even comedians. Drawing on its extensive collection of furniture, pottery, tile, metalwork, lighting, and photography from the late 1800s and early 1900s in America, this institution is distinguished by its eye-catching black-and-white façade, the work of Alfonso Architects. 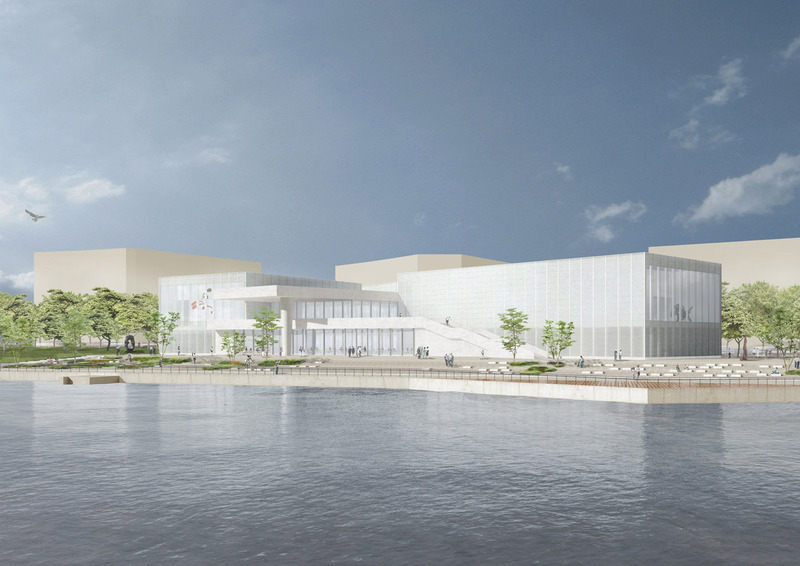 Foster + Partners are overseeing the dramatic expansion of the Norton Museum, which first opened to the public in 1941. In addition to a plethora of classrooms and galleries, the updated campus will also be home to a residency program, with six renovated 1920s-era cottages serving as artist accommodations. Right now, the Norton is preparing for a solo exhibition of works by lauded artist Nina Chanel Abney, slated to open on February 9. 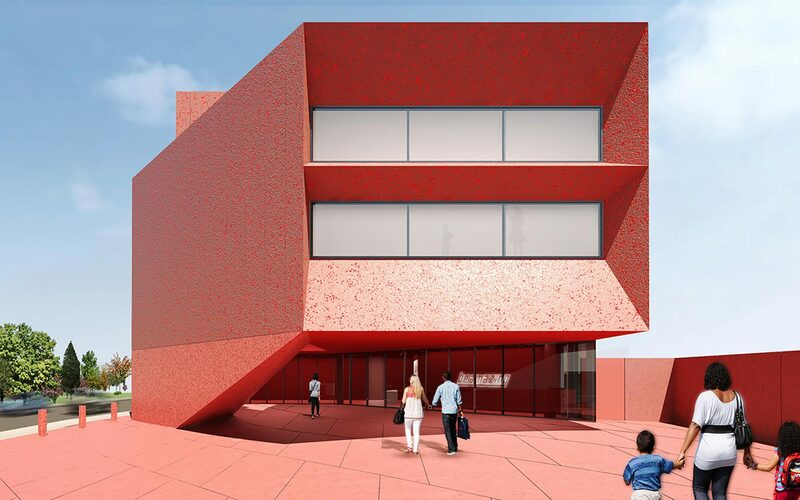 The work of architect Sir David Adjaye, this vibrant, cantilevered home for the Linda Pace Foundation fulfills Pace’s vision of a ruby-colored art city, which came to her in a dream. 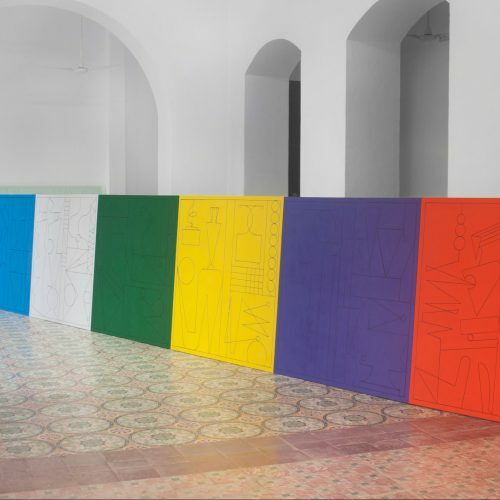 Inside, works from the late philanthropist’s 800-plus collection of contemporary artwork will be on view. 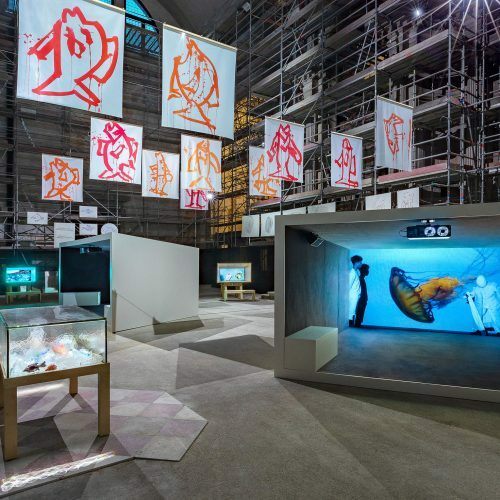 Part of a master plan to revitalize 3.4 square miles of former industrial land, the West Bund Art Museum will house multiple exhibitions organized by the Pompidou Centre in Paris, part of a cultural collaboration between France and China. 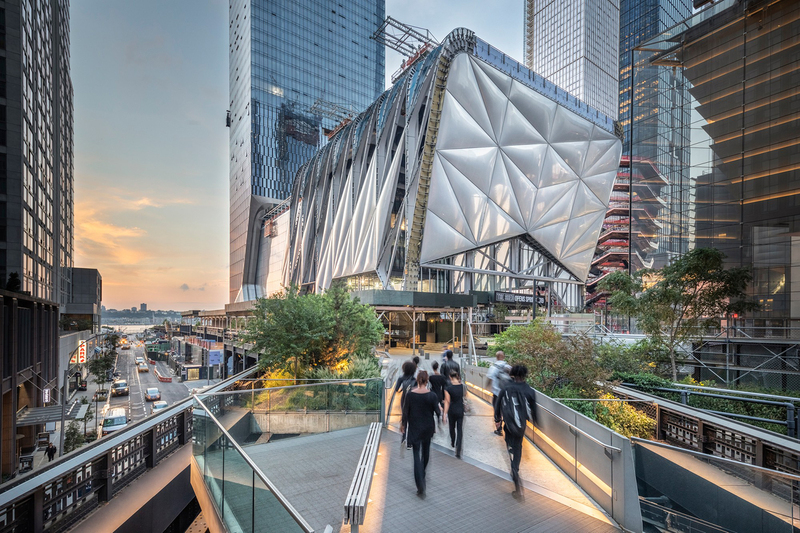 One of the most anticipated venues opening in 2019, The Shed, designed by Diller Scofidio + Renfro in collaboration with Rockwell Group, is located on Manhattan’s High Line. The massive structure is unique for its mobile component—specifically, an eight-million-pound shell that can be deployed over an adjacent plaza to create an enclosed performance venue. The Shed will kick off its spring programming with the world premiere of Björk’s Cornucopia, a concert production directed by Tony Award winner John Tiffany. 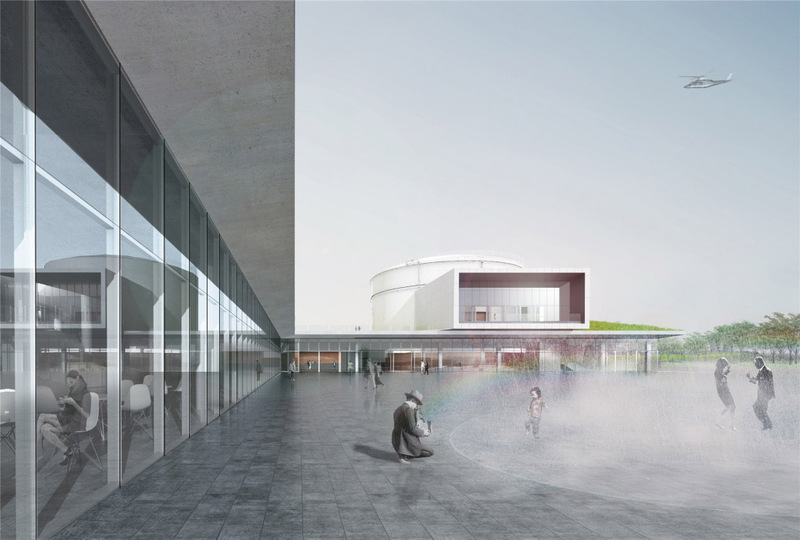 Located in and around five decommissioned oil tanks that were used to store airplane fuel a century ago, this art campus by Open Architecture both preserves and reimagines its industrial past. 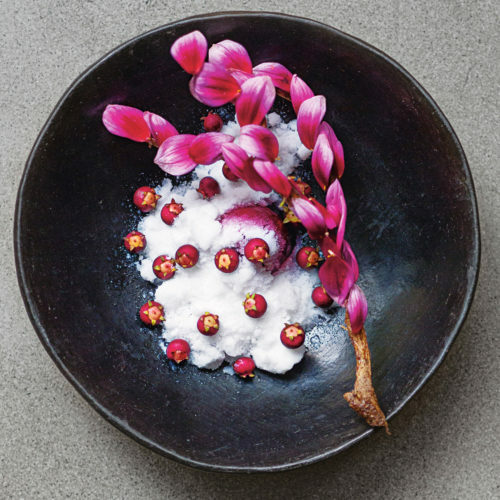 The venture is being launched by Chinese entrepreneur Qiao Zhibing, who started collecting in the 1980s as a means of decorating his line of popular nightclubs. Architects Tod Williams and Billie Tsien—whose firm designed the Obama Presidential Center planned for Chicago—undertook the expansion and renovation of this 1985 museum, which was designed by Charles W. Moore and Chad Floyd. Consisting of some 65,000 objects, the Hood’s collection is one of the largest and oldest possessed by any college or university in the United States. 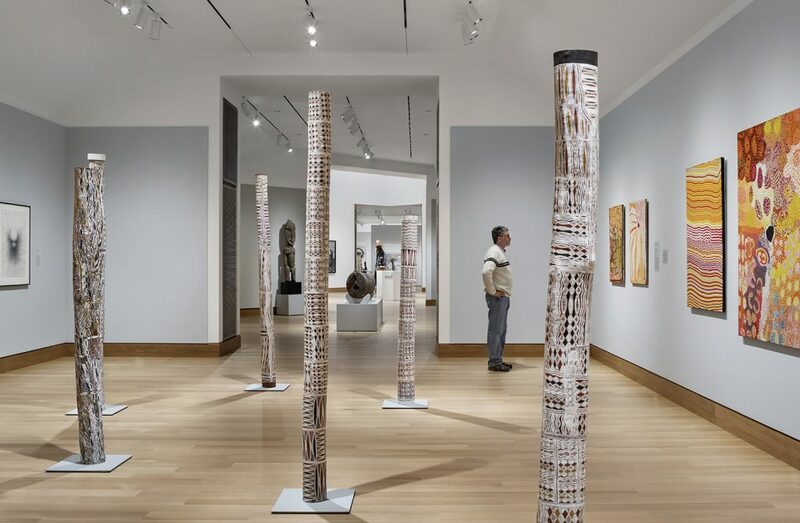 At the moment, the Hood is preparing to open new installations of historical art, from Native American pottery and portraits to the Japanese calligraphy of Shiko Munakata and a photography exhibition exploring the nature of consent. 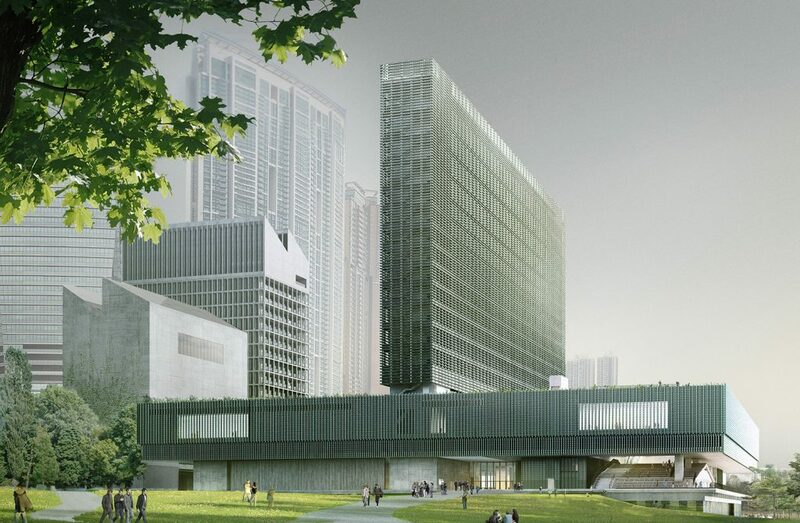 Scheduled for completion in December, this 700,000-square-foot complex sits in the burgeoning West Kowloon Cultural District. 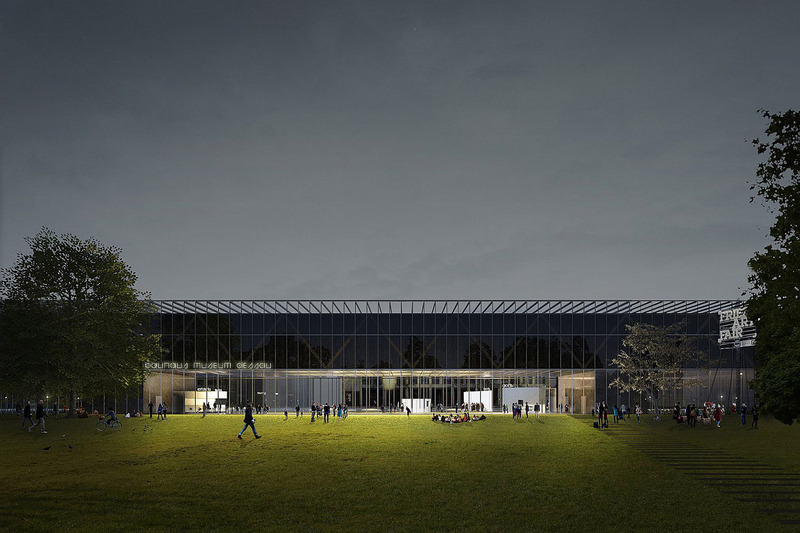 Pritzker Prize–winning firm Herzog & de Meuron crafted the space, which will showcase design and architecture from the 20th and 21st century. 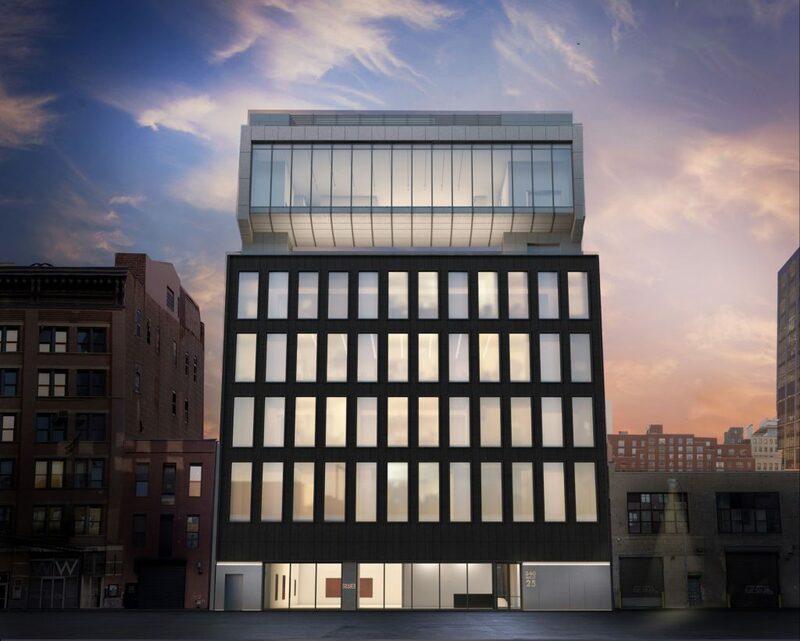 In September, Pace Gallery is slated to christen its new eight-story flagship in Chelsea, masterminded by Bonetti Kozerski Architecture & Design. 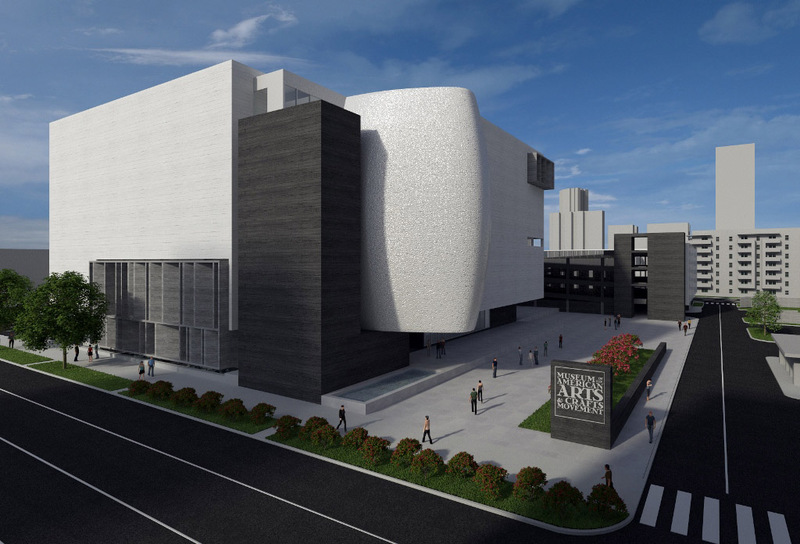 The 75,000-square-foot location will feature significant indoor and outdoor gallery space, as well as a research library and an open art-storage facility.